Lead your crew on a conquest of the Mediterranean! A regatta is certainly the team building activity that most promotes team spirit and competition! Participating in a regatta strengthens the feeling of belonging to a group by managing stressful situations, success, and personal and collective progress. The result of each action is evaluated immediately! After a safety briefing, the sailboat’s functioning, and each post’s responsibility, the crew consists of: 1 skipper, 1 navigator tactician, 1 helmsman, 2 haulers, 2 winchers, 1 crew member in front and 1 or 2 mainsail crew members. 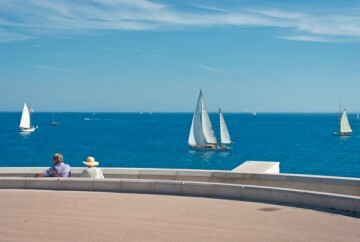 Departing from the Côte d’Azur harbors, the regatta enables participates to take in the coast’s most remarkable sites, such as Saint-Jean-Cap-Ferrat, Monaco, Cap d’Antibes, and the Lérins Islands. 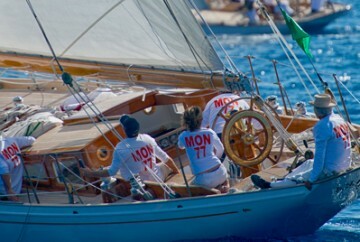 During the regatta, it is also interesting to highlight the parallels between the business world and the sailing world. 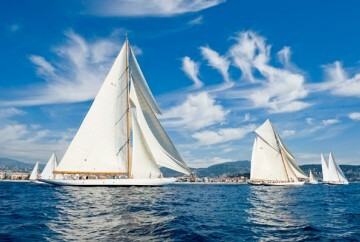 Regatta boats are between 12-14 meters, with cabins, toilets, and showers.